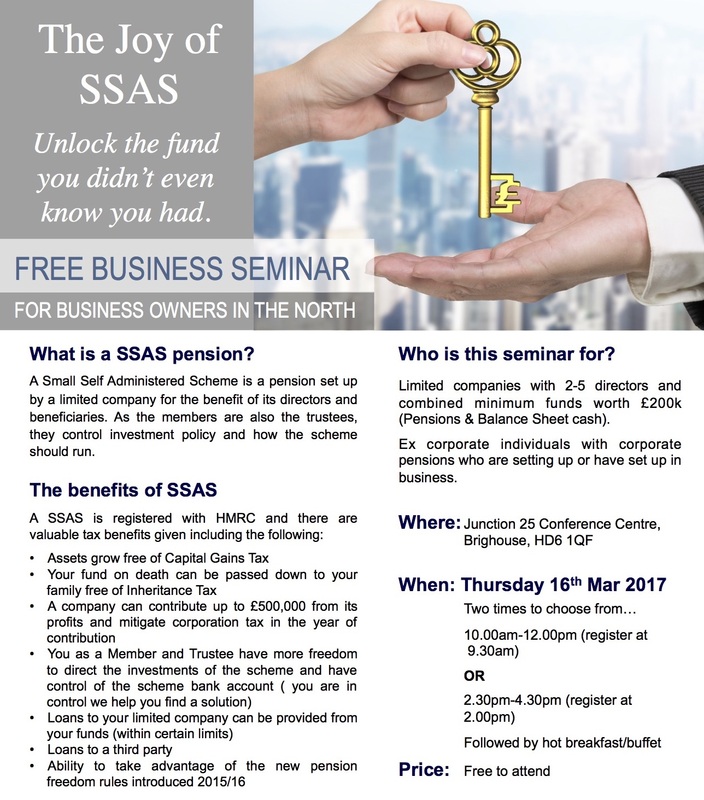 A Small Self Administered Scheme (SSAS) is a pension set up by a limited company for the benefit of its directors and beneficiaries. As the members are also the trustees, they control investment policy and how the scheme should run. Your fund on death can be passed down to your family free of Inheritance Tax. 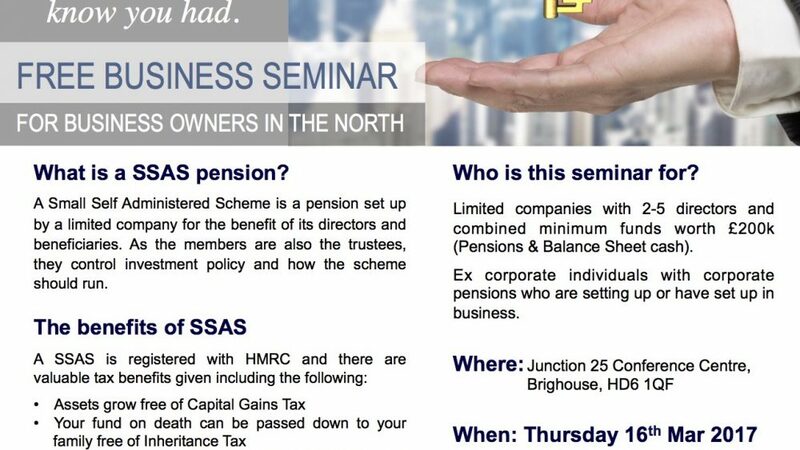 This SSAS seminar is for limited companies with 2-5 directors and combined with minimum funds worth £200k (Pensions and Balance sheet cash). Ex-corporate individuals with corporate pensions who are setting up or who have set up a business. Thursday 16th March 2017 (two times to choose from).